← The New 40m QRP Rig Lives! Last time we went to Mt. Vinegar, we drove in from the north side on forest tracks only to be confronted by a “Prohibited Area” sign, posted there as the area was being logged. The activation was then abandoned and we left for Mt. Strickland. As Mt. Vinegar was one of the closer summits I had not activated this year, I thought it was worth another go, but this time walking in from South, starting from the Acheron Way. It was a nice morning weaving through the Acheron way, until driving on the dirt section when I came across a motorbike lying on the road on a blind corner. The rider was standing on the side of the road looking a bit dazed. The car was put on the outside of the corner with hazard lights on and I went to check out the rider. He had some cuts on his face and said his shoulder was hurt, but otherwise OK. I offered to radio for an ambulance, but he declined. The bike had to be moved off the road before another car cleaned us both up. I had a go at righting the bike up with arms under the seat, but something felt a bit strange in my back. It was a damn heavy bike! I had another go from the handlebars which was a bit more awkward, but finally got it up and off the road. The rider still declined an ambulance and said he would rest a bit then carefully ride down to Warburton. Shortly after I arrived at Mt Vinegar Rd. 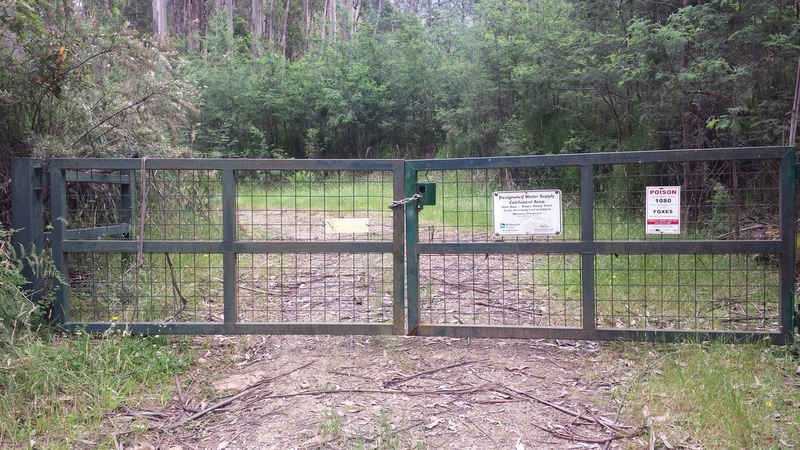 on the Acheron Way and was greeted with a locked gate. 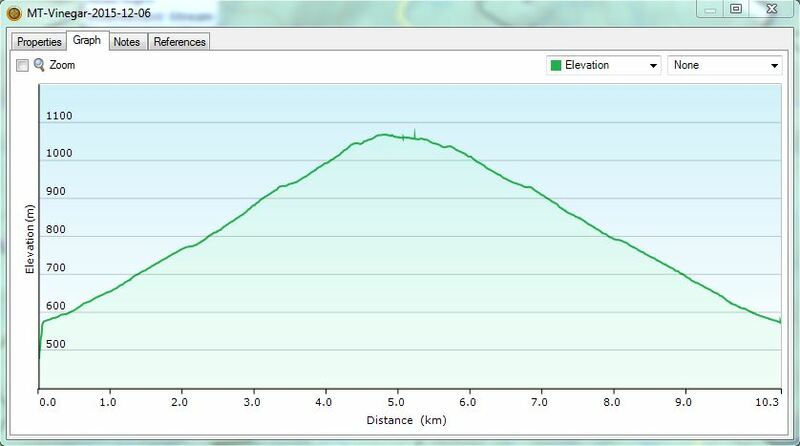 The walk up is about 5 km with a rise of 500m according to the GPS. Once at the summit, it had obviously been logged, but there was no sign indicating that the area was off limits. 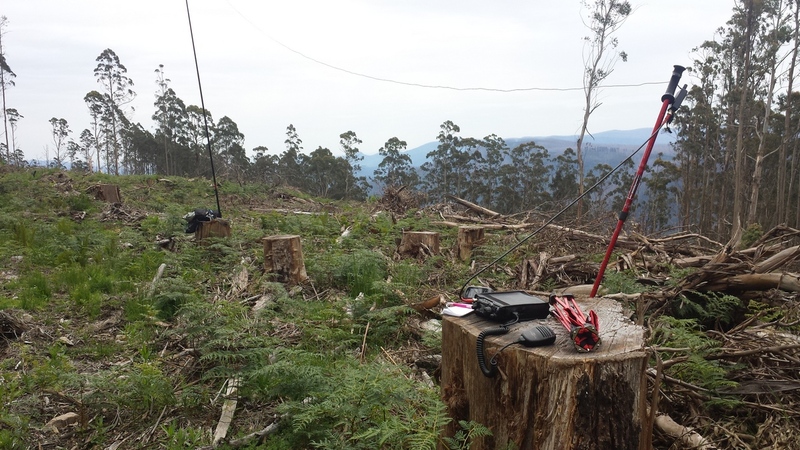 The squid pole was jammed in a large tree stump and the six metre “flower pot” antenna erected. The flower pot antenna is simply a vertical coax dipole with a decoupling coil on the coax. See this post by VK1AD. After a bit of calling, the summit was qualified on six metres, which was just as well, because 40 metres was not good. Peter, VK3PF was just using a HF antenna on 6, which wasn’t bad considering the distance. Contacts were also made on 10 metres and it briefly opened up to VK2. A summit to summit contact was made with Paul, VK3HN on Mt. St. Phillack. On the return walk, my back was telling me that I should have been more careful lifting that motor bike! When I drove past the spot where the guy had dropped his bike, there was no sign of bike or rider. 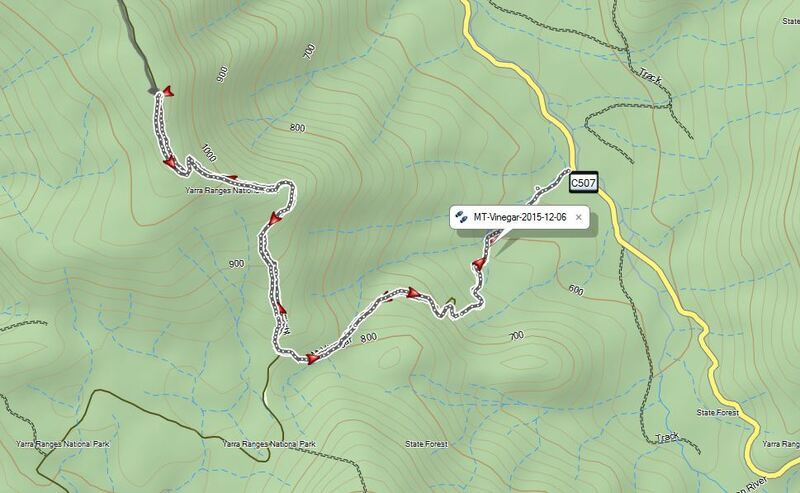 Good to work you from Mt Saint Phillack — vk3hn.